By using this website, you signify your acceptance of these terms and conditions of use. For the purposes of these terms and conditions, “Us”, “Our” and “We” refers to whaleone.com.au and “You” and “Your” refers to you, the client, visitor, website user or person using our website. We reserve the right to change, modify, add or remove portions of these terms at any time. Please check these terms regularly prior to using our website to ensure you are aware of any changes. We will endeavor to highlight any significant or substantive changes to you where possible. If you choose to use our website, then we will regard that use as conclusive evidence of your agreement and acceptance that these terms govern your and whaleone.com.au’s rights and obligations to each other. It is an essential pre-condition to you using our website that you agree and accept that whaleone.com.au is not legally responsible for any loss or damage you might suffer related to your use of the website, whether from errors or from omissions in our documents or information, any goods or services we may offer or from any other use of the website. This includes your use or reliance on any third party content, links, comments or advertisements. Your use of, or reliance on, any information or materials on this website is entirely at your own risk, for which we shall not be liable. For the purposes of Schedule 2 of the Australian Consumer Law, in particular Sections 51 to 53, 64 and 64A of Part 3-2, Division 1, Subdivision A of the Competition and Consumer Act 2010 (Cth), whaleone.com.au’s liability for any breach of a term of this agreement is limited to: the supplying of the goods or services to you again; the replacement of the goods; or the payment of the cost of having the goods or services supplied to you again. Physical goods may be delivered by Australia Post and/or other reputable courier companies. Deliveries are processed promptly upon receipt of full payment. Delivery may take between 2 and 14 days, depending on the delivery option. Damaged or lost orders should be resolved with Australia Post or the courier company directly and we are not responsible for goods that are damaged in transit or not received. Replacement of damaged or lost items is made at the discretion of whaleone.com.au. 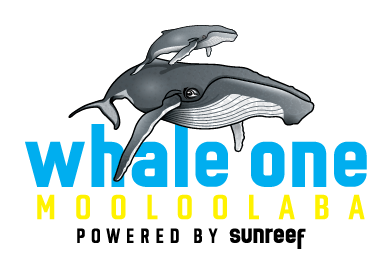 whaleone.com.au may from time to time provide on its website, links to other websites, advertisements and information on those websites for your convenience. This does not necessarily imply sponsorship, endorsement, or approval or arrangement between whaleone.com.au and the owners of those websites. whaleone.com.au takes no responsibility for any of the content found on the linked websites. whaleone.com.au’s website may contain information or advertisements provided by third parties for which whaleone.com.au accepts no responsibility whatsoever for any information or advice provided to you directly by third parties. We are making a ‘recommendation’ only and are not providing any advice nor do we take any responsibility for any advice received in this regard. To the fullest extent permitted by law, whaleone.com.au absolutely disclaims all warranties, expressed or implied, including, but not limited to, implied warranties of merchantability and fitness for any particular purpose. whaleone.com.au gives no warranty that the documents, goods or services will be free of errors, or that defects will be corrected, or that our website or its server is free of viruses or any other harmful components. It is your sole responsibility and not the responsibility of whaleone.com.au to bear any entire costs of servicing, repairs, or correction. The applicable law in your state or territory may not permit these exclusions, particularly the exclusions of some implied warranties. Some of the above may not apply to you but you must ensure you are aware of any risk you may be taking by using this website or any products or services that may be offered through it. It is your responsibility to do so. You may change your details at any time by advising us in writing via email. All information we receive from our customers, is protected by our secure servers. whaleone.com.au’s secure server software encrypts all customer information before it is sent to us. Furthermore, all of the customer data whaleone.com.au collects are secured against unauthorised use or access. Credit card information is not stored by us on our servers. whaleone.com.au does not and will not sell or deal in personal or customer information. We may however use in a general sense without any reference to your name, your information to create marketing statistics, identify user demands and to assist it in meeting customer needs generally. In addition, we may use the information that you provide to improve its website and its services but not for any other use. whaleone.com.au may be required, in certain circumstances, to disclose information in good faith and where whaleone.com.au is required to do so in the following circumstances: by law or by any court; to enforce the terms of any of our customer agreements; or to protect the rights, property or safety of our customers or third parties. If you are in the business of creating similar documents, goods or services for the purpose of providing them for a fee to users, whether they be business users or domestic users, then you are a competitor of whaleone.com.au. whaleone.com.au expressly excludes and does not permit you to use or access our website, to download any documents or information from its website or obtain any such documents or information through a third party. If you breach this term, then whaleone.com.au will hold you fully responsible for any loss that we may sustain and further hold you accountable for all profits that you might make from such unpermitted and improper use. whaleone.com.au reserves the right to exclude and deny any person access to our website, services or information in our sole discretion. whaleone.com.au expressly reserves all copyright and trademark in all documents, information and materials on our website and we reserve the right to take action against you if you breach any of these terms. These terms and conditions represent the whole agreement between you and whaleone.com.au concerning your use and access to whaleone.com.au’s website and your use and access to the documents and information on it. No other term is to be included in this agreement except where it is required to be included by any legislation of the Commonwealth or any State or Territory. All implied terms except those implied by statute and which cannot be expressly excluded are hereby expressly excluded. This agreement and this website are subject to the laws of QLD and Australia. If there is a dispute between you and whaleone.com.au that results in litigation, then you must submit to the jurisdiction of the courts of QLD. 1. Cruise times are subject to change. The proprietors will send out a message via email or text by the afternoon on the day before cruise departure to confirm this time. 2. The proprietors reserve the right without notice to substitute any vessel. 3. The proprietors reserve the right at any time to cancel any cruise. 4. Passengers must be ready at the point of departure stipulated within twenty minutes of the departure time. 5. If, in the opinion of the skipper, the voyage cannot be continued for any reason, then the skipper may terminate the cruise at any time. 6. The proprietors are not common carriers and reserve the right to refuse to carry any passenger, baggage or goods without assigning any reason. Therefore passengers shall comply with the Navigation Act 1912 (as amended 1079) and all regulations, orders or instructions given by the skipper. The proprietors shall not be responsible for any damage or loss occasioned. 7. Passengers shall not carry any alcoholic liquor, matches (other than safety matches), explosives, volatile spirit or other goods of a dangerous, inflammable or offensive nature. In the event of a passenger being required not to embark or to disembark from the vessel under the provisions of this condition, the proprietors, nor the skipper shall be under any liability to such passenger of any kind whatsoever. 8. This ticket is available for use on the day of issue only. The proprietors reserve the right to grant a credit for the issue of a ticket on another cruise but no refund shall be given. 9. In the event that any specified cruise is cancelled, then the proprietors may, at their option either refund the fare or issue the passenger a ticket for another cruise. 10. The skipper and the proprietors shall not be responsible for any injury to person or damage to property arising out of any cruise. 11. Proprietor shall mean Hart Corporation t/as Whale One, successors and assigns. 12. If we, the Whale One staff cancel the trip, a full refund will be provided. 13. A cancellation made less than 72 hours prior to departure incurs a 100% cancellation fee. NO REFUND. 14. A “no show” on the day also attracts 100% cancellation fee. 15. NO REFUND FOR SEASICKNESS: Don’t let seasickness spoil your day – visit your local Pharmacy or Natural Health Food Store. 16. MEDICATIONS: Please ensure you have your personal medications with you. (e.g. Asthmatic’s, Heart Disease, Anaphylactic etc) OR if you are PREGNANT, have recently visited HOSPITAL or have a pre-existing medical condition we would ask that you consult your GP prior to cruising. 17. PARKING: We recommend that you park your vehicle behind in the Underwater World car park at the Wharf. 18. CLOTHING: Warm clothes, appropriate footwear and bring a jacket. Bring your camera! 19. DEPARTURE: Please arrive at The Wharf, Parkyn Parade at least 15 minutes prior to your departure time. A 50% deposit payment is required within 5 working days of receiving a Booking Form from Whale One, to secure your booking. If a deposit payment is not received within the given period, the company reserves the right to allocate the vessel to another client. The vessel hirer is required to sign the Booking Form, specifying cruise details and conditions and return with your holding deposit. Special arrangements may be made when discussing the conditions with our Booking Office Team. All charter quotes are in Australian Dollars (AUD) and will indicate the cost of the various charter components, including the cruising tariff, catering, beverages and entertainment, where applicable. Australian Goods and Services Tax (GST) will be applied to the sub-total of all the cost components and the total quote will include GST. Final number of guests, cruise times, menu’s selections, entertainment requirements, embarkation location and balance of payment are all to be finalized within 10 working days prior to the cruise date. Balance owing on the actual number of guests on board, being higher than the final number of guests advised 5 days prior to the function, and consumption bars are to be settled at the conclusion of the cruise by credit card. No refund is given if the actual number of guests is less than the minimum guaranteed passengers or the final number of guests advised to us by vessel hirer 5 days prior to the function. Should Whale One cancel a booked trip for any reason, the Charterer will be offered to undertake the same trip on another date. If no suitable alternate date can be arranged, then the Operator will provide a full refund. Should the Charterer cancel a booked charter more than 14 working days before the scheduled trip, the 50% deposit will be retained by the Operator as well as any expenses incurred being reimbursed by the Charterer before the balance of payments made are refunded. Should the Charterer cancel a booked charter less than 14 working days before the scheduled trip, Whale One may retain all money paid by the Charterer. The duration of the Charter includes the time taken to embark and disembark members of the Charterer’s group. This is limited to one point of embarkation and one point of disembarkation unless otherwise agreed in writing. Whale One is not responsible for any delays caused by the late arrival of members of the Charterer’s group or delays at the wharf caused by crowds, the arrival of other vessels, or any other item beyond the Operator’s control. The Operator is not responsible for delays at the point of disembarkation for reasons outside its control. The Operator reserves the right to berth the vessel at the point of disembarkation 10 minutes prior to the scheduled time for disembarkation. If necessary, any music or other entertainment will cease at such time. If the time taken for disembarking passengers takes longer than 20 minutes beyond the scheduled end of the Charter, the Charterer will be charged for this time pro rata (30 minutes extension) to the vessel charge as set out above in respect to hourly hire rate. It is the responsibility of the Charterer to inspect Whale One prior to the Charter to determine the vessel’s suitability. The Charterer represents and warrants to the Operator that the Charterer is satisfied with the vessel and the standard of services offered by the Operator to be provided in respect of the Charter. If the Operator agrees that the Charterer may decorate the vessel, this must be done without the use of pins, adhesive tape, tacks or anything which will leave a mark on the vessel. In such case, decorations will take place at a mutually agreed time. The Charterer is responsible for all costs associated with repairing any damage caused by the Charterer. The Charterer is liable for any damage to the vessel, equipment or furnishings caused by the Charterer or any member of the Charterer’s group, unless caused by the Operator’s negligence. If the Operator repairs any damage itself, the Charterer must pay the Operator the reasonable third party costs of carrying out such repair. Neither the Operator nor any of its employees are liable for any loss or damage suffered by any person, other than liability directly attributed to the Operator’s negligence, arising from the Charter and the Charterer must indemnify the Operator against any such claims. The Operator accepts no responsibility for loss or damage to goods brought on board and or left on the vessel or the Operator’s premises prior to, during or after the Charter. Neither party is liable to the other party for consequential loss or damage. • The Operator’s liability for breach of such guarantee, term, condition or warranty is limited to the supply of the relevant Charter again or the cost of re-supplying the Charter. The Charterer agrees to indemnify and hold harmless the Operator, its agents and employees, from and against any and all losses, claims, actions, costs expenses, fees, damages, fines and liabilities (including reasonable legal fees) arising from the Charter or caused by any negligent act or omission by the Charterer or members of the Charterer’s group. The Operator has no liability for failing to perform its obligations under this terms and conditions due to any industrial action, unsuitable weather conditions, mechanical or technical breakdowns or other events beyond the Operator’s reasonable control. The law of Queensland governs this agreement and the parties agree to submit to the jurisdiction of the courts of New South Wales in respect of any dispute arising between them. • Terminate the Charter by berthing the vessel at the nearest safe location and disembarking the passengers. • Negotiate with the Charterer to agree on some other course of action to resolve the issue.